We are looking for someone to join team GLJ in Victoria! This is a great opportunity for someone to join our fun and lively team who are passionate about bringing incredibly nutritious and delicious cold-pressed juice to Vancouver Island. We are hiring someone from Victoria to do demos at our fabulous retailers year-round, and staff our farmer's market stall in the summer months. Reports to: Founder, Andrea Dershin and Retail Manager, Lauren Stisson. Summary: Demo + sell juice, chat about the benefits of cold pressed juice and what separates Good Life from the pack. 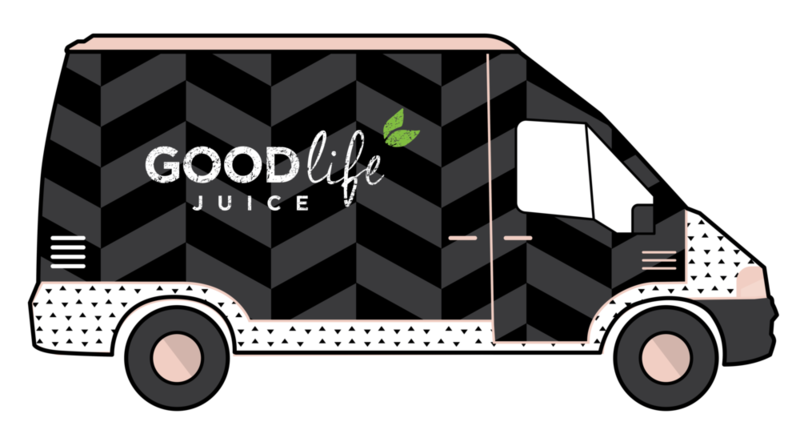 Getting to talk to customers and have them sample our juice is pretty much one of our favorite things to do and we are looking for someone who might feel the same way! Surprise people with delicious and nutritious tasting juice while you educate them on juicing, cleansing and eating a balanced, wholesome, plant based diet. (and whatever other fabulous healthy lifestyle passions you bring to the table). We give you the tools and set you up for success. Typically last 3-4 hours each and require 10 minutes to set up/take down. Responsible for engaging with passing shoppers and ask if they would like to try some fresh juice. From there, we train you how to discuss everything that could come up. Let everyone know where in the store they can find our juice. As the face of our company you are also responsible for maintaining a great relationship with our retailers. Typically last 4 hours each and require 20 minutes to set up/take down. Responsible for engaging with passing shoppers and ask if they would like to try some fresh juice. From there, we train you how to discuss everything that could come up. As the face of our company you are also responsible for maintaining a great relationship with the organizers and other vendors. Sell juice and be responsible for the cash float. Have Passion! Passion for life: Food, sports, nutrition, art, whatever it is, bring it! Be outgoing, engaging, and personable. Have your own vehicle and valid driver's license. Individuals must be able to work on their feet for long periods of time and lift objects up to 35 lbs. Must be a Team Player . . . like, really! We work hard, have fun, and have each other's back. Must be available either Saturday or Sunday plus one weekday evening year-round for demos at our retailers. Must be available from 9AM-3PM Saturdays from May-October plus approx every other Sunday during that time period. We understand you may have holidays booked, just let us know up front. References upon request. Wage: $12.50/hr. Possibility for raise after 3 months. 20% discount on all products. Free juice with each shift.